You Can Find Free Money! Free money! 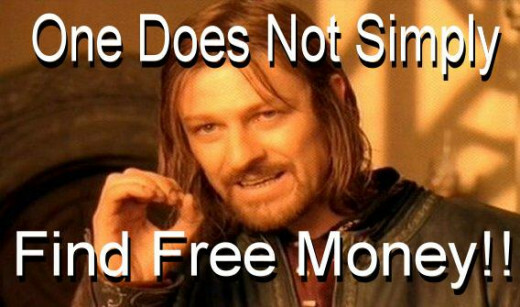 Now those are two words you just don't hear very often, in fact seeing the words free and money together may seem like a typo to some people. Sadly the phrase is mostly associated with scams. I can ease your mind and promptly assure you that this is not a scam. My method for acquiring free money is in fact so simple you may be disappointed that you did not think of it yourself. Money is actually easy to find, if you know where to look that is. I am going to show you a few prime locations to find free money. I know you are probably thinking I am asking you to rob a bank or start your own crime ring. Rest assured I am not but that would make you rich a lot faster. My method is so easy a child could do it. With my method you can find some extra cash and maybe even have fun at the same time. But with my method they can and you will! So how does one simply find free money? Easy! You actually find it. Seriously it sounds silly and maybe a little bit trivial. There are several places in which one can find free money just waiting there screaming come get me. No, I am not speaking about the legendary land of El Dorado, or even talking about a Harry Potter type world where things are just unseen. It may surprise you to learn that every week people like me are sticking a heap of free money into our pockets. The best advice I can give you is be observant. My method simply is this:look for free money laying around prime locations. Yeap, it is really that simple. I will show you some prime locations that will yield free money. This money was carelessly lost and sadly forgotten, of course we will remedy that issue when we give it a new home right there snug in our pocket. The key is to look. 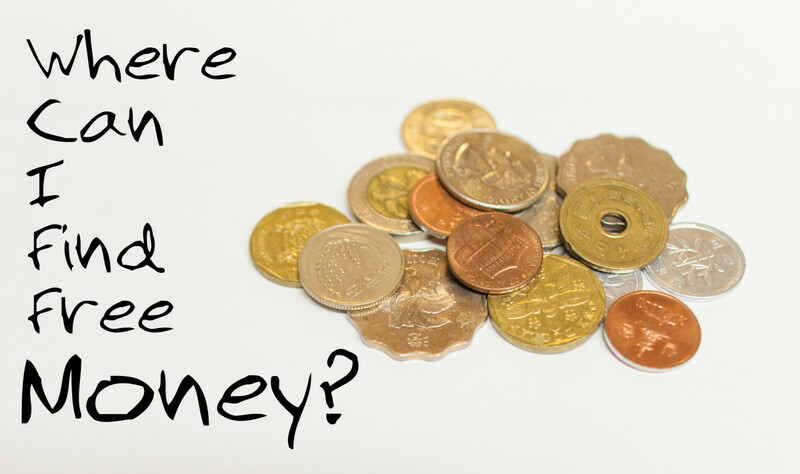 Just look around these locations and you may be shocked at the amount of money you can find. I will say you may want to buy yourself a nice metal detector. These can cut your search times in half. I myself simply walk around looking at the ground. Once again this may sound rather silly but let me emphasize that free money is worth the trouble. I do want to instill one simple but relevant fact. Pennies make nickels, nickels make dimes, dimes make quarters, and so on and so fourth. By now you are probably as excited as a horse at a carrot farm to learn where these gold mines of free money are hiding. Let's go get our share. No bullying is needed to get free money using my method! Searching a park the easy way! Fair warning! 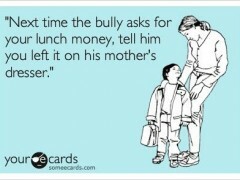 You can not beat kids up and take their lunch money. It is just not cool so put that stick down. No one is as careless with money as a child. They will turn that playground into a war zone every recess. Once that recess bell roles that playground is going to be as active as a Saturday night party at Tommy Lee's house. They will swing and frolic, hang upside down and jump. Of course all the while that potential for money to drop gets higher and higher. Money has a strange way of leaving the little kid's pockets and landing right there on the ground waiting for you to find it. 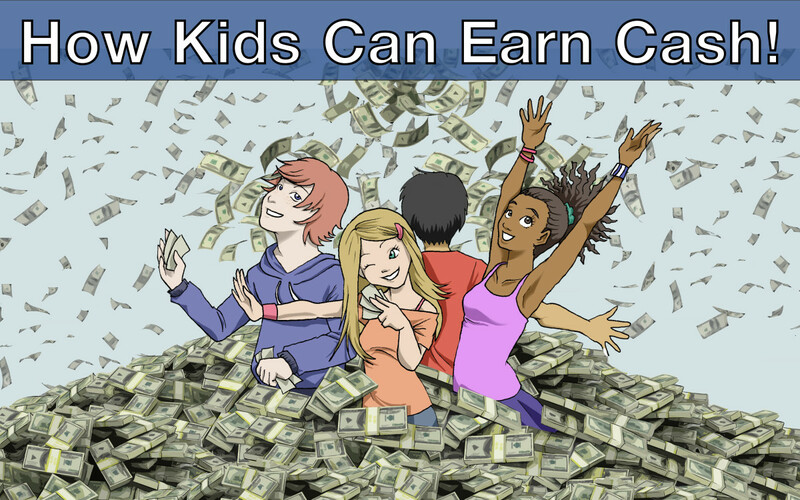 If you wait till school lets out and venture to the playground you may find that a nice search of the playground will reveal a plethora of opportunities to find some nice free money. You won't get rich but you will make a nice little bit of change. Remember this is free money so don't get upset if you don't find your fortune. I have a friend who frequents 2 separate playgrounds for one month. At the end of his adventure he cashed in a little over $200.00. Like I said it seems strange but this is a great way to put a few handfuls of change in your pocket. Who's change would you want to find at the courts? Jordan, he got all the money. Billy down the street, that kid always has bank. The same principle applies to parks as well. I find parks with running tracks are particularly profitable. Runners often misplace that stray dollar or pocket full of change from the coffee shop. Public parks are indeed a great source of free money. Let me share some tips with you to make your hears a little easier. Basketball is just to difficult to play with a pocket full of change. It is not uncommon to see people sit their change to the side of the court. 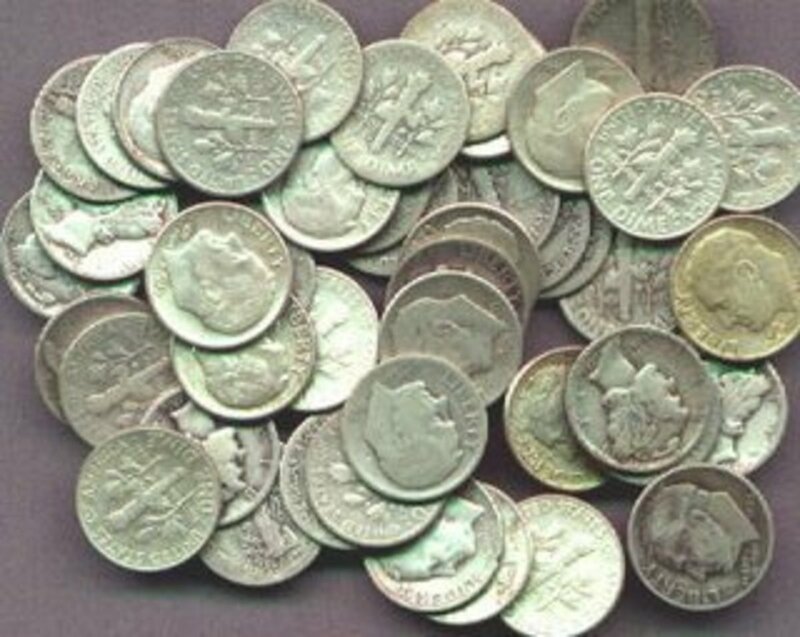 Maybe it is the excitement of a good game of ball, or perhaps just the forgetful nature of people but at the end of the day someone forgets to pick their change up. Guess what? That is your free money now. Monkey bars are so much fun. Especially for the person in search of free money. Change can easily fall out of an upside down ankle biters little pockets. This is sad for the kid who was pretending to be a bat, but for us penny pinchers we are happy. Yes, tons of kids. After a party the little ones want to play and frolic for a little longer. Of course this is after little Billy just got his birthday presents opened. This means birthday cash! I know it sounds crazy but if it is dropped in a park than it is public domain and somebody is gonna pick that dollar up. It might as well be you. These things are gold mines. Always check around these little "suckers" for change. It sounds cray but trust me that car washes are gold mines for free money. 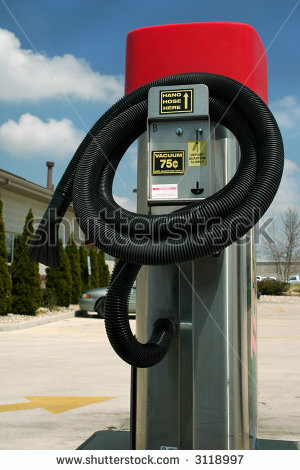 People will wash their cars and as soon as they see those handy dandy vacuums they know what they must do. They will go ahead and decide to clean the inside of the car out. For some reason spare change that is not quarters is considered trash. It will manage to find it's way to the ground around the vacuums. I walk by two of these vacuums daily to go to lunch. I decided to document how much free money I could collect within one week. So Monday through Saturday I decided to keep a record of what I found. Most days I discovered just a few pennies and the occasional dime or two. To my shock at the end of the week I had pocketed $4.32 worth of free money. If this was my average in a month I would have $17.28. That is not bad for free money that I did not have to do anything but look for. Once again this method of finding free money will not get you rich. 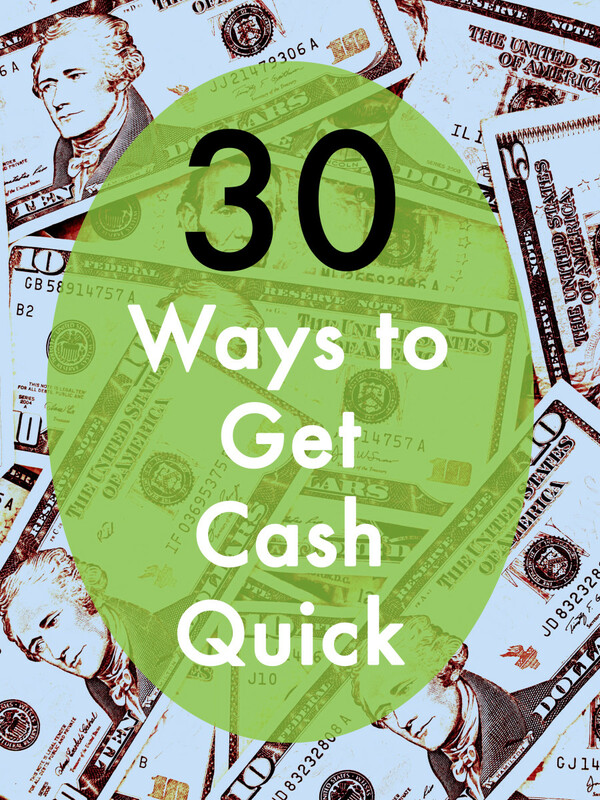 It will however give you a little extra cash that you could maybe go to a nice lunch at the end of the month or maybe just some extra change to supplement your soda funds at work. Remember we live in trying times and any amount of money you can save is a good amount. The key to my method is to be vigilant and stay constant. Once you find a location that seems to net you a descent amount of free money keep going there. Don't limit yourself to the locations that I have mentioned here. I suggest finding your own locations and using what you know to collect more money. There you have it penny pinchers, free money with a little effort. You now know three places that will benefit you some nice free money. Will it make you rich? Not unless you find a rare coin or some unforeseen treasure. Change adds up and I suggest getting a nice bank to put your change in. You may be surprised at how quickly it can fill up. Remember the next time you see a penny laying on the ground don't be lazy! Bend over and pick that bad boy up. Penny saved is a penny earned. :) That's funny - and honest. I was unlucky he was with me when I did, lol. He's lucky it was you that found it. Patricia, that is great. The biggest thing I found was like a 50 outside my apartment. Turns out it was my friends money for his school pictures, lol. he had dropped it earlier that day. I of course gave it back but not without some ribbing first. I once found $20 on a sidewalk near a school while I was walking my dog. Since I am usually the one losing things, I felt like I had just won the lottery . I used to take a walk early in the morning. I passed the tennis courts, the school, the cemetery, and walked down several streets everyday. You wouldn't believe the stuff I found. My biggest find was a $5 bill. Near the cemetery was the best place, but it was situated near the school. I didn't do this to find anything, just to get the exercise. Anytime I found money, it was just a bonus.